The cultural heritage of a nation provides its unique identity. India has always been a nation widely recognized and appreciated for its diverse and unique art forms. 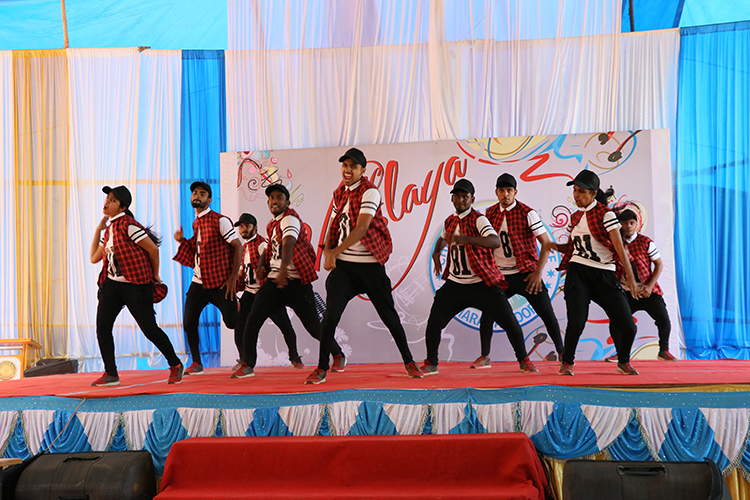 Christ Nagar College always provides the students a platform for showcasing their talent. It also serves as a break from the monotony of academics. Variety of competitions are organized annually for the students and trophies and certificates are distributed in acknowledgement of their efforts. Physical inactivity is the major reason for most of the health problems among the young generation. We are living at a time when everything would be done at the press of a button making physical work least required. It is here that the significance of sports and games arise. Christ Nagar College provides excellent facilities for uplifting the talents of the sports athletes. The institution conducts well disciplined Annual Sports Meet every year to develop and promote physical activity. Eminent sports personalities have been invited to grace the function every year. The previous years have witnessed our students bagging prizes in the Kerala University Sports Meet and have also set their foot into the All India Inter-University Sports Meet.